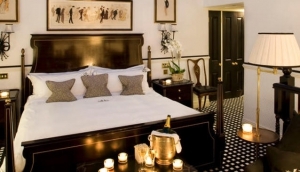 In London you will find a vast assortment of accommodation; it's all about research. Whether you're looking for something basic or a little more upmarket, we can help you find the perfect accommodation for your stay in London. We've done the research for you and have selected a choice of London's best hotels for you to choose from, whatever your budget and whether you're visiting London for business, pleasure or a little bit of both. Browse by area or by hotel, if you know the name, and find out what My Destination London has to offer.